For nearly two years Pinterest has been the hottest social network around, and its usability continues to grow. For those questioning whether Pinterest is right for them, browse through the site to discover the world of Pinners you never thought you’d find. Want proof? Even city governments see the need for making Pinterest a part of their marketing mix. Let’s take a look at how the Convention & Visitors Bureau of Santa Monica, California has embraced this social network. 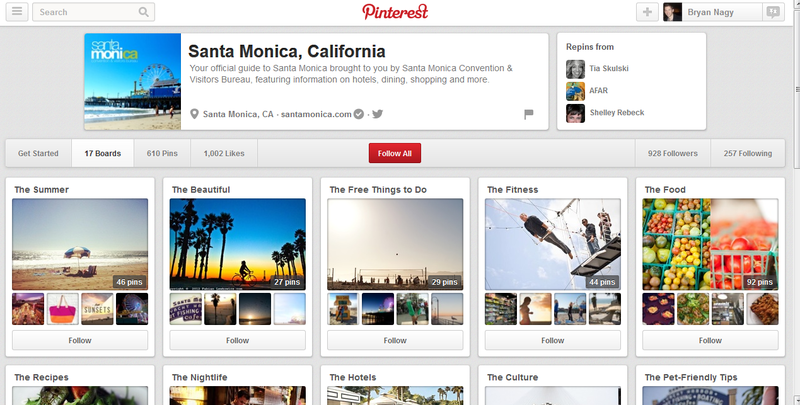 The Santa Monica, California Pinterest page is used to provide visitors with information about the city. In a sense, the page becomes a modern pamphlet to potential tourists. As users browse the well-organized boards, they’re taken through colorful, inspirational photographs of places they could be when visiting Santa Monica. Clicking through the “Free Things to Do” board, families can see beaches they should visit, discover the free amusement park in the city, and learn about free tours hosted by the public library. Visitors who want more of a party vacation can head to the Nightlife board to view professional and Instagrammed photos of top bars in the area. Any time a visitor views a place they like, they can click on the pin to be taken to a site that further describes the attraction in more detail. The end result is an extremely helpful way for potential tourists to learn more about what they can do in Santa Monica, California. The Santa Monica page is extremely well-organized. The key here is that the organization makes sense. Categories such as “hotels”, “restaurants”, and “things to do” are categories visitors are likely looking for. These are also similar categories one might expect when browsing a city’s website or reading through a leaflet. Many companies struggle with this- adding too many categories in an attempt to grow followers or naming categories with fancy titles. Name boards for what they are to avoid confusion and entice users to click on boards that will provide the best benefit to them. As noted above, Santa Monica includes content that is relevant to visitors, and even residents looking to learn more about their city. The content doesn’t include fluff in an attempt to clog followers’ homepages and gain followers. Instead, it includes only the information visitors need to know. 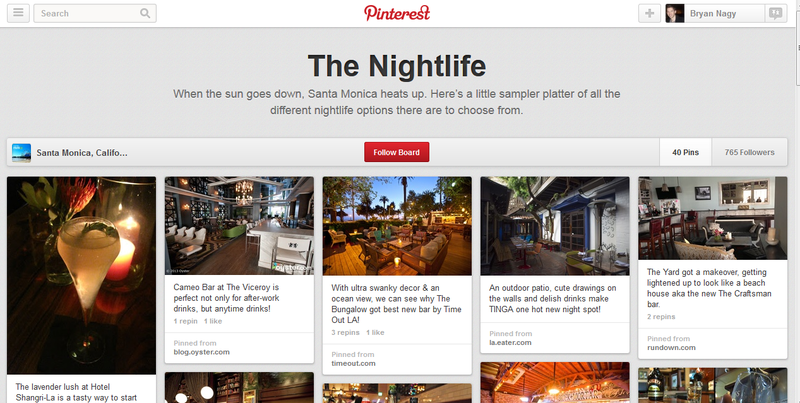 The Santa Monica, California Pinterest page explores the city’s nightlife. Pins made by Santa Monica all link to relevant content, something many pins lack on Pinterest. For example, when a user clicks on a pin about a specific restaurant, they’re taken to an article about it that is rich with content and imagery. The end result is an extremely helpful pin rather than something that is just nice to look at. 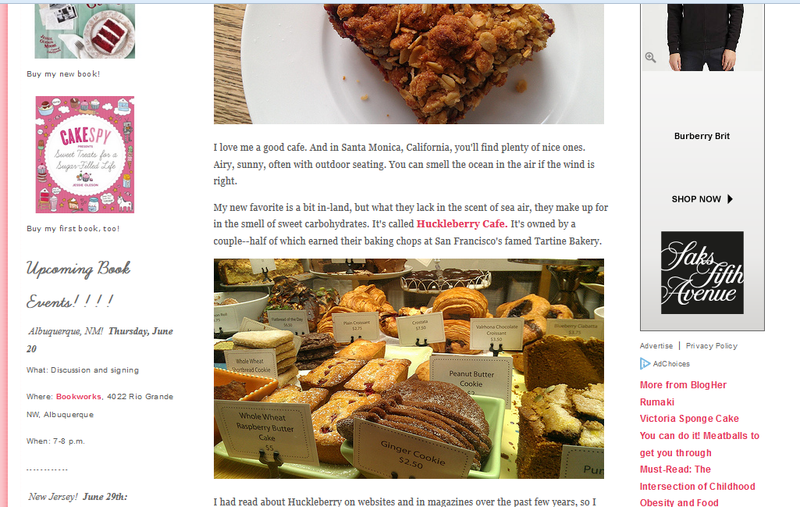 Pins on the Santa Monica Pinterest page link to restaurant reviews and announcements. Santa Monica has verified their business account, meaning when users search for the city they see a check mark next to the city’s name. This lets users know it is the official account of the Visitors Bureau and not just a profile someone is randomly pinning images to. This credibility means users will be more likely to take recommendations from the pins to heart and may be more apt to engage with the pins. Businesses and entrepreneurs alike can take this city’s lead and evaluate how they can best use Pinterest. The main learning point here is to develop a strategy that makes the most sense for your audience. Reblogged this on My New Case Study..